If you are a car enthusiast like I am and you love to wrench on your ride as much as possible, then “New Car Parts Day” is the gearhead’s Christmas without having to wait for December. I present you with my most recent NCPD brought to you by SCALE Suspension. 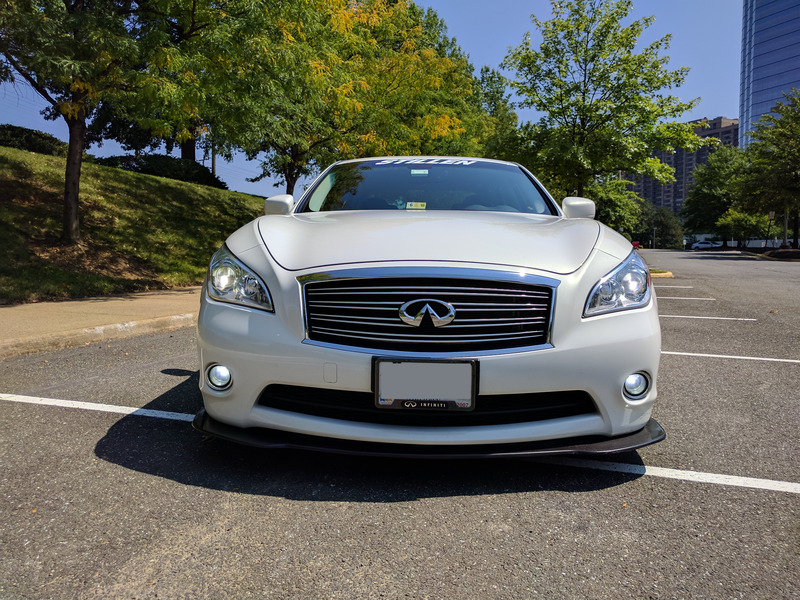 I drive a 2012 Infiniti M37x, and while this might not be the typical tuner car it’s still very popular among Infiniti fans who want 4 doors, lots of luxury niceties AND to be able to surprise people off the line and keep them squarely in the rearview on twisty sections of road. 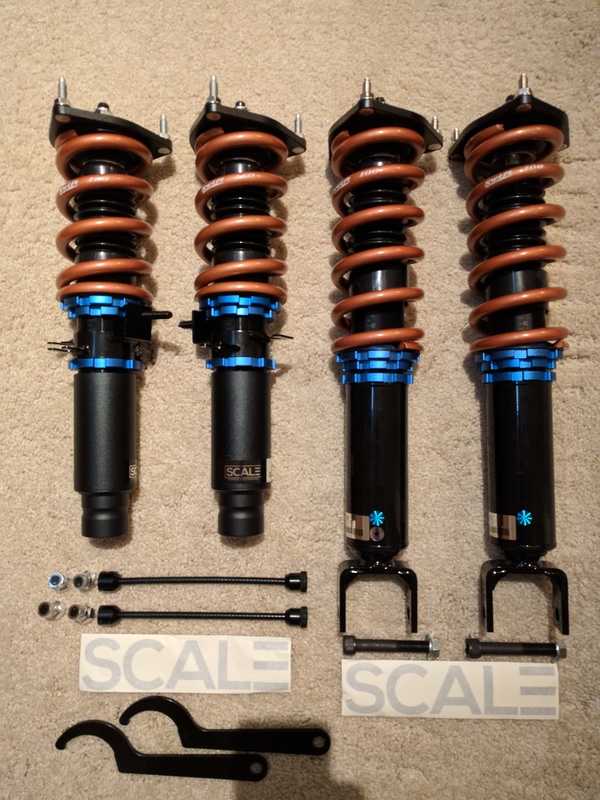 The “twisty sections of road” part is what I’m improving on today with SCALE’s Innovative Series coilovers; particularly the low version with upgraded Swift Springs, stainless hardware and rear extenders for making adjustments without having to remove the rear seat every time. 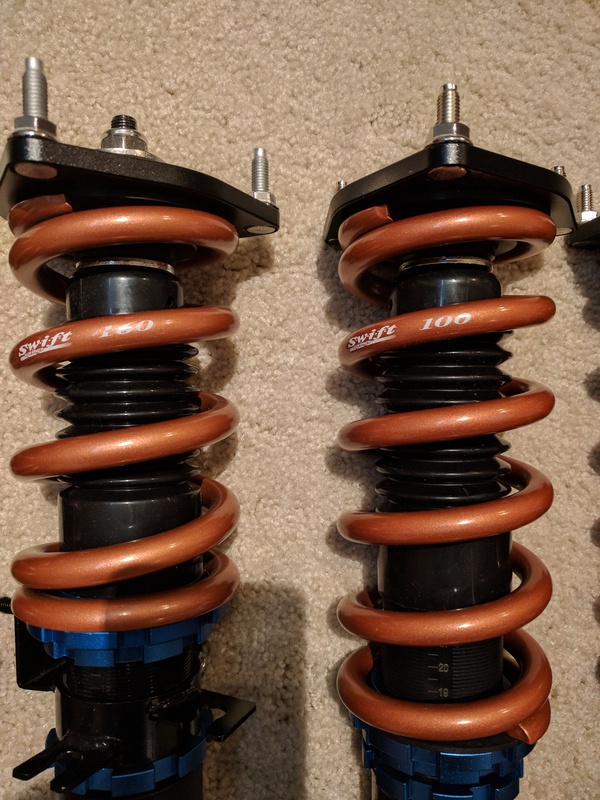 The spring rates I’ve gone with on the recommendation of SCALE are 16K front/10K rear and I have not been disappointed. With 12-way valving options you can easily find the right setting and comfort level for daily driving and switch it up for a day of autocross in 30 seconds. It’s really the best of both worlds. Cruising on the highway at a 1-3/12 is comfortable; better even than OEM. In the softer settings bumps, dips and rough patches of road are soaked up nicely with a mild firmness that’s noticeable but not harsh or bouncy. This the way a big sport saloon should feel. 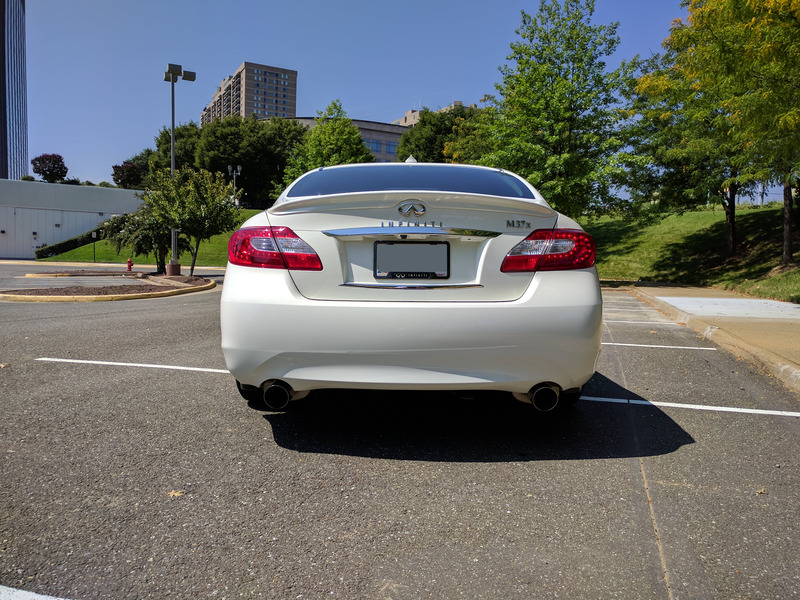 I don’t like the squishy, lofty feel of the car when I first bought it 5 years ago. 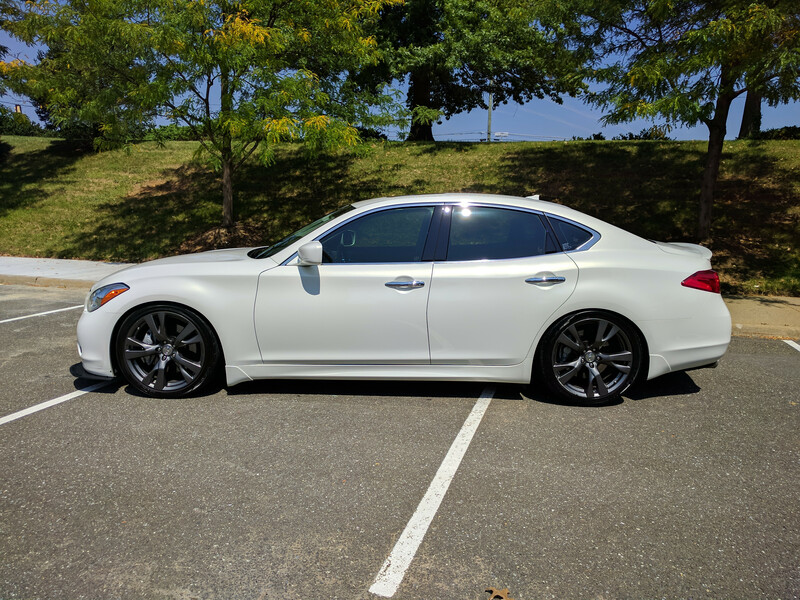 Dial it up to a 6/12 and the car becomes noticeably firmer and less forgiving on comfort but starts to go around curves and 90 degree turns like a 2-ton ballistic missile on rails. It feels very solid and inspires confidence as it stays flat and planted around a long bend; almost begging for more throttle until the tires start to scream that you’re reaching the limits of adhesion. At 9/12 it’s no longer about comfort; I can feel every single crack, seam, painted line and speck of dust on the road. This is not for daily driving at all. It’s difficult to even evaluate the higher settings on public roads and even on a well-maintained track these settings might not be beneficial for faster lap times. I’m not going to deduct any points here though as this is not a track car but I may revisit the topic in the future when I have time to get on a track. After much driving on several road trips and trying different options I’ve settled on 7/12 for now as my daily driving level. It’s comfortable enough on the better roads while providing very aggressive cornering and quick lane changes. Flat, planted cornering is also thanks in part to a lower center of gravity. SCALE has done a great job of dialing in the perfect ride height as painless as possible. It’s actually quite easy to get it right in just a few tries. 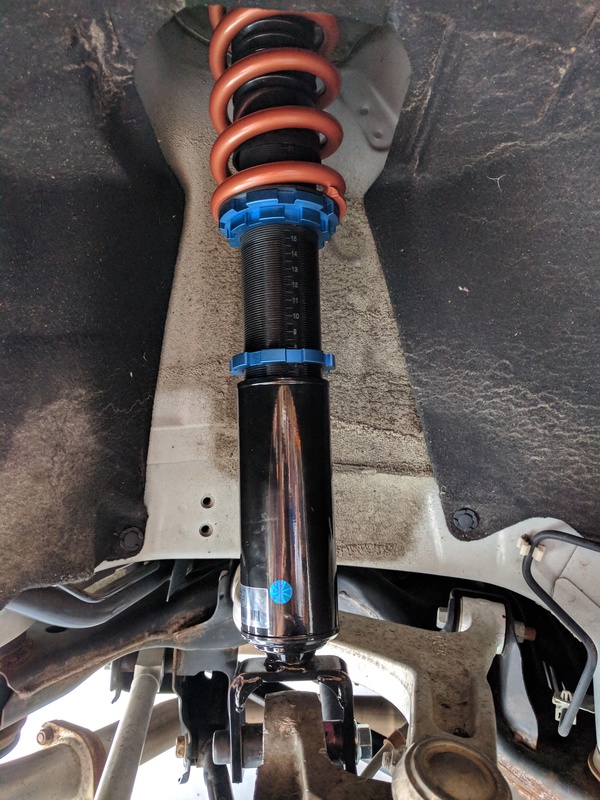 The measurement marks on the threaded body of the strut were a major selling point and it was well worth it. 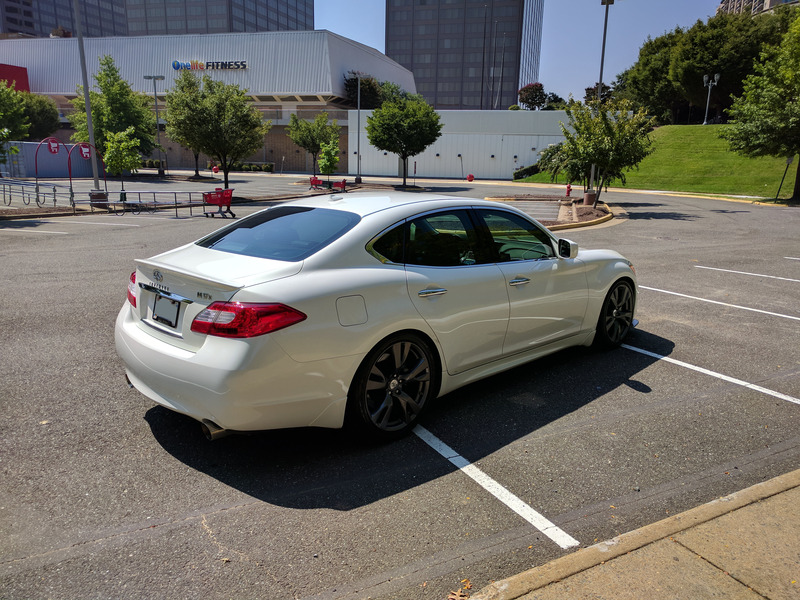 I was able to get my car leveled out at all 4 corners within millimeters and I only had remove the wheels twice after the initial install. The stance looks perfect all the way around the car; you’d have to break out a tape measure to see any variation from left to right. The build quality is solid; all the hardware is top notch, well-crafted and moves with precision. The adjustment knobs are removable and provide a nice firm click when changing the dampening. 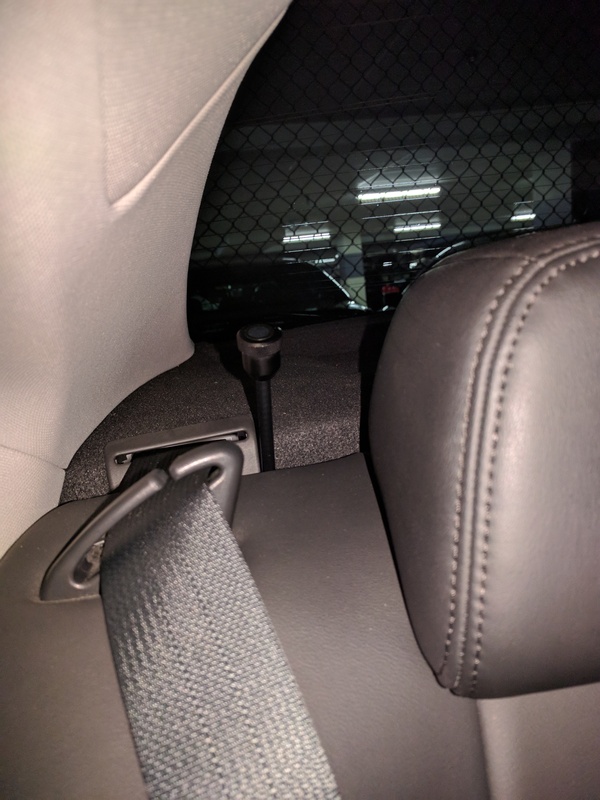 My kit also came with rear extenders that attach to the knobs and stick up a couple inches behind the rear seats so I don’t have to remove the seats every time I want to make a change. Overall I’m very happy with my purchase from SCALE. I got great customer service when I asked many questions trying to narrow down my exact setup. They were quick to respond to emails and provided thorough information about recommendations and why those recommendations were made. I even got a couple call backs on the phone which was a big plus. 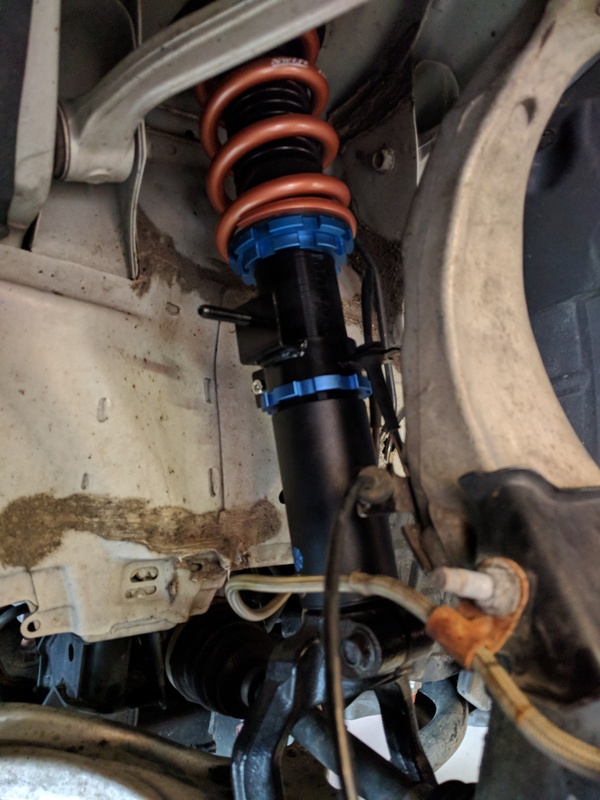 They have many options for custom powder coating on both springs and lock rings so you can really get the look you want in addition to a great ride. 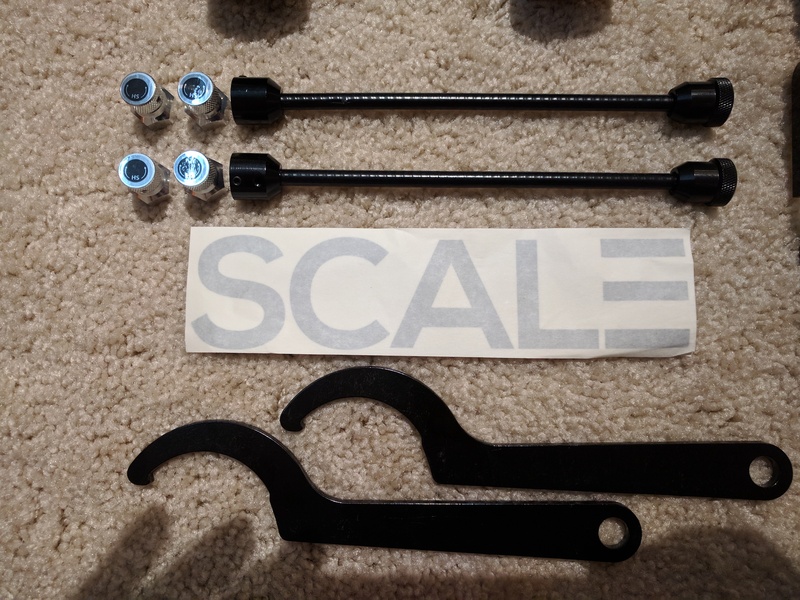 Based on my experience I’ve been telling my friends and fellow car enthusiasts that they need some SCALE in their life. 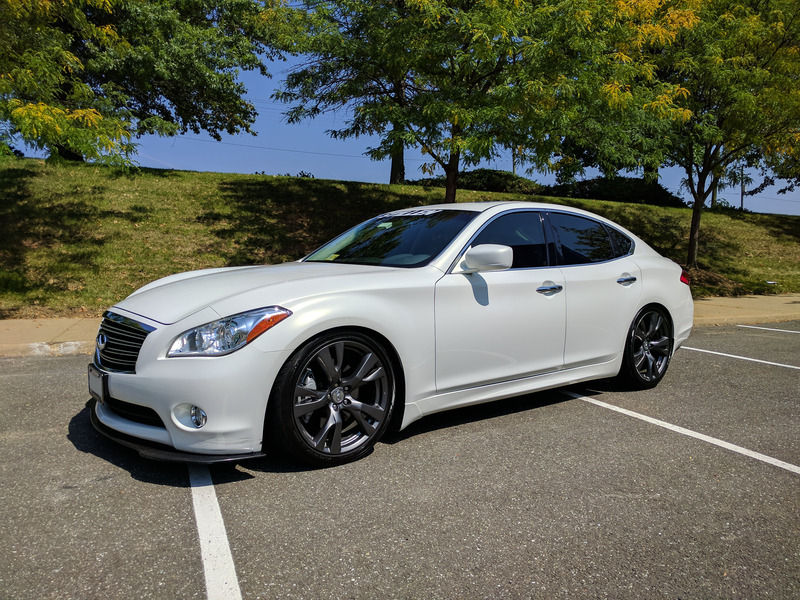 I hope you’ve enjoyed this review and you can always find me on http://forums.nicoclub.com/ in the M section as well as help with all your other Nissan/Infiniti needs.